I would have to run the numbers, but I think that Tyler Severance might possibly have the most signature yo-yos of any other yoyoer. Go with me on this one. The Trainwreck 1 and 2 from the Save Deth/Spyy collaboration, the Severe with caps, the Severe w/caps, Severe 2010, and the Supernova which was once rumored to be the Sever3 and the Supernova Lite. How can a yo-yo player possibly have seven signature yo-yos? Because he is just that freaking good. That’s why. The Supernova Lite was gifted to me by my good friends at the Learning Express in Roseville. This week I carried the pink and blue Supernova Lite and surprise, surprise, a green and yellow Supernova lite came in the mail from the boys at YoYoFactory. Two yoyos, two colorways, one review week. Naturally I did what any yo-yo who loves the purple and green combo would do; I swapped halves. I saw the blue with pink spash yo-yo and just.fell.in.love. What a color way! The two colors meshed into a really cool purple when spun. When I opened the box from YoYoFactory and saw the green Supernova, I geeked out a bit. I love love love love purple/green colorways. When I perform on stage for kids and demo at schools, I wear purple and green shoes. I would not call them my signature colors but I dig them. The Supernova Lite comes boxed in YoYoFactory’s premium line black and gold display box. The box makes for a nice display piece and has a Supernova logo card slotted in the top section. One problem though is that nowhere on the yo-yo or the box does the word “Lite” on it. I wasn’t sure I actually had the Lite version on either Supernova until I weighed them. The Supernova Lite was a revision of the Supernova, turning the same design with 6061 aluminum and thus 4 grams lighter. Later, I found out that all of the “Splash” anno versions of the Supernova are the “Lite” version but I probably would not have known that if I wasn’t writing a review and dug for the information. Since this yo-yo comes in two weight flavors, a change in the laser engraving or the box logo would be helpful for those who did not know. All SuperNova Lite’s have outlined laser engraving whereas the premium SuperNova’s laser engraving is filled in. Also, all SuperNova Lite’s are made of tumbled 6061 aluminum (matte-looking finish) whereas Premium SuperNova’s are not tumbled/blasted 7075 aluminum (shiny-looking finish) and there is a noticeable difference between the two finishes in appearance and touch. 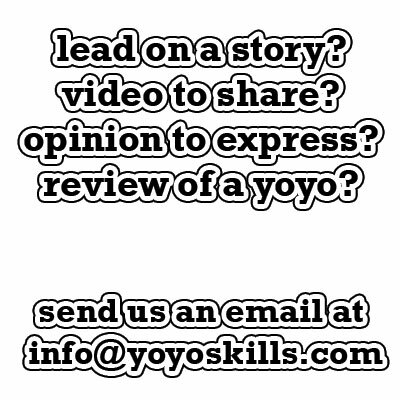 I also still think that YoYofactory would benefit from some facts about the yo-yo on the back of the logo insert. This would help a buyer who was looking at the yo-yo for the first time. Within 100 miles of my house, there are eight physical toy stores that carry premium line yoyos. With premium line yoyos appearing more and more commonly in the marketplace, having information on the box is too valuable to overlook. The Supernova and Supernova Lite have the exact same measurements with the exception of the weight. The Supernova Lite is 4 grams lighter than the Supernova. The difference is in the aluminum material used and that is pretty much it. 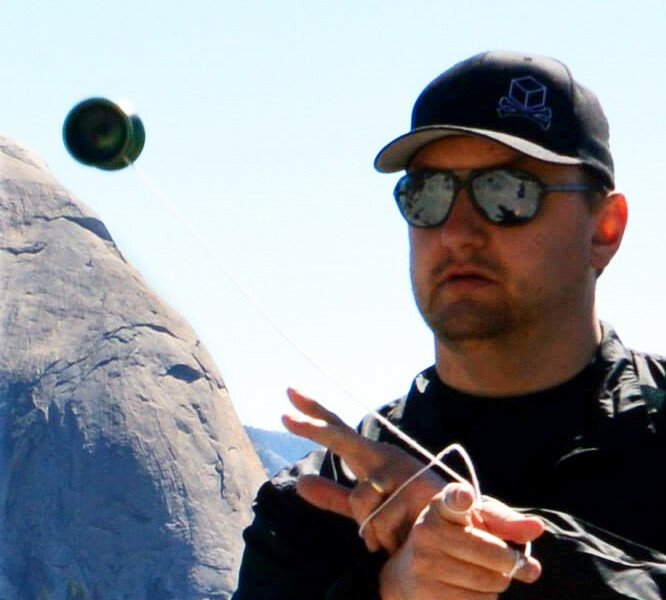 I don’t like comparing yo-yo’s, but in this case, I think looking at the spec’s of another popular yo-yo will help paint the picture in your head. The shape is very reminiscent of the Protostar shape YoYoFactory has had so much success with. The Supernova Lite has softer corners but you can see a bit of influence present. Much like the Protostar, the Supernova Lite has a 56mm diameter and a two-step catch zone wall but that is where the similarities end. The first step of the catch zone is angled down a bit more which opens up the catch zone a bit more and softens the catch zone corner. Towards the gap, the Supernova bulbs out and raises the response and bearing seat area. This gives the Supernova a 44mm width which is 2mm wider than the Protostar. The weight on the Supernova also looks like it is mostly at the core and half way up the catch zone behind the corner. The Supernova Lite comes stock with a flat Spec bearing and white CBC pads. In your hand, the Supernova Lite feels familiar. It does not have any crazy corners or shapes, just a familiar diameter and easy to manage width. The rims hit the hand on the outer edge of the thumb pad and leaves enough room for your pointer, middle, and ring finger without feeling crowded. I did not like it on the first throw, I loved it. Certain yo-yos hit the sweet spot right away and this is one of them. The Supernova has a completely different feel than Tyler’s other signature yo-yo (the 2010 Severe). Almost all of Tyler’s previous yo-yos had a stiffness to them that, while providing great stability, did not really have the total feeling of freedom to them. When I look back on my review of the Severe, it remember it being so stable it was almost too stable. It was not a big fan of leaning or tilting and while stability like that is great for many aspects of play, many players want the flexibility to change the angle of play at a whim. The Supernova Lite does that with spades. The Supernova Lite has a fast and loose feel to it with just the right amount of floatyness. The design lent itself nicely to string transfers and fast transitions without spinning out. There was some tilt associated to hard landing hops, but the bulb that raises the catch zone acts almost like a highwall allowing you to correct and get back in. Binds were snappy and satisfying and I think the most fun I had with the Supernova was a long string of regens. This thing should be called Regenking. I don’t recall a cleaner more consistent regen in recent memory. Grinds really depended on the colorway. I know that seems strange, but the green Supernova Lite was much smoother on a grind than the pink and blue Supernova Lite. Neither of them have much of a grinding finish but the green colorway climbs the arm at a smoother rate. Inner ring grinds were about the same. Since most of the weight falls in the middle of the body halves, to get a clean IRG you will need to start on a slight tilt. On a clean throw, the Supernova Lite spins vibration free for what seems like an eternity. While play testing, at one point I had to answer the phone. I plastic whipped the gap and set it spin as I talked. Even after a long conversation, I was able to retrieve the yo-yo with a snappy bind. This yo-yo really should be getting more attention. Since it comes in two different weight flavors, it should fall more easily into a buyers litmus test. The colorways are brilliantly bright and throwing the Supernova Lite is not only satisfying, but also invigorating. 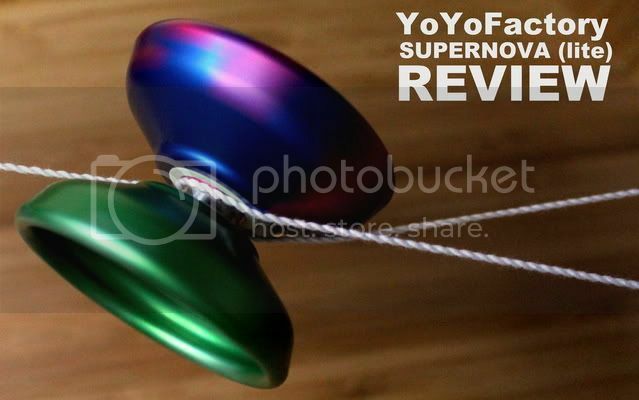 I have reviewed many yoyos that have left me wanting to take a break during the review week for one reason or another, but that did not happen with the Supernova Lite. It is fun to play and will not distract you with strange shapes, sharp corners, weird angles, or errant vibration. I used the Protostar as an example when talking about the shape and specs, but the two yo-yos play completely differently. I spoke earlier about it, but it needs to be mentioned again. This yo-yo is straight up stupid in love with regens. I could not stop doing it. I didn’t want to catch the yo-yo, just regen out again and continue. I am not sure exactly if it was intentional or exactly what it is about the Supernova Lite that made it regen friendly, but it seems to excel at it. 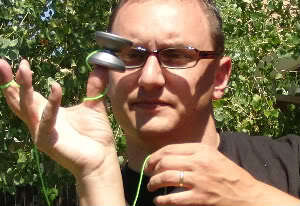 Back to that question; Why does Tyler Severance need seven signature yo-yos? The answer “Because he is that freaking good” still applies but I think it also shows how much range Tyler has. Rumor has it that more are coming also. My point is, Tyler’s performance style has evolved throughout the years, is still evolving and it is only natural that his yo-yo preferences do the same. It probably also helps that he is on location at the YYF plant. Available in online yo-yo stores right now. great review doc, but i gotta ask, have you ever tried a standard supernova? Based on your descriptions of your own style, i think you would really like the way it plays; medium speed, stable (but flexible enough), good regens, and strong spin. I don’t. I can’t find them online anywhere. I have seen them in Physical stores. Perhaps call Bird in Hand? It simply amazes me when people feel the need to correct grammar on the internet, Dont you have anything better to do? Great Review Chris i dont mind some grammar errors gives the article some character =). Sorry, not criticising, just found it funny. Alan is correct, not all splash versions are supernova lite’s. There have been and will be many splash versions of the premium SuperNova as well as the SuperNova Lite. All SuperNova Lite’s have outlined laser engraving whereas the premium SuperNova’s laser engraving is filled in. Also, all SuperNova Lite’s are made of tumbled 6061 aluminum (matte-looking finish) whereas Premium SuperNova’s are not tumbled/blasted 7075 aluminum (shiny-looking finish) and there is a noticeable difference between the two finishes in appearance and touch. Otherwise, Chris in correct in saying the SuperNova Lite does not say “lite” on the yo-yo or the packaging. How could it be true that all splash anodized supernovas are lite versions? What about the two Gacek editions, the Jason Lee edition, and the AP edition et al.? Also, Doc, you really need to proofread better before you publish. There are a few glaring grammatical errors that detract from the pace of your otherwise great review. Noted on the splash anno “Player Edition” Supernova Lite. As far as the proofreeding, I am just one man and fixing your own grammatical errors is the hardest thing do. 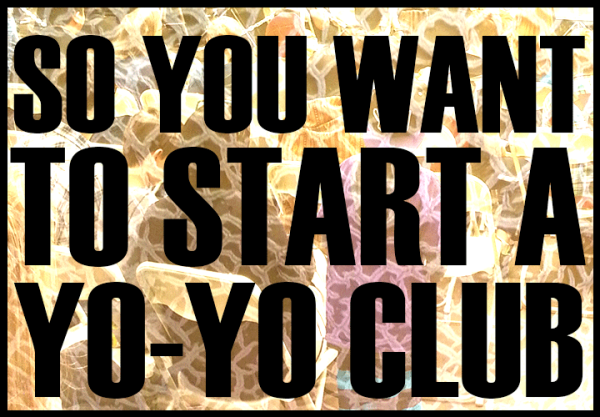 YoYoSkills is just me, on top of my full time job, family , and other responsabilities. Sometimes my friends will pitch in and help with the clean up but they have priorities also. There will be times (read, most of the time) where grammar slip-ups happen. It is always easier to catch the errors of others, and harder to catch your own. I do proofread, outloud, and catch what I can. The more I blog, the better my dyslexic eyes get, but thanks for your two cents Mr. Anon. Wait, GREEN Supernovalites exist? beautiful!